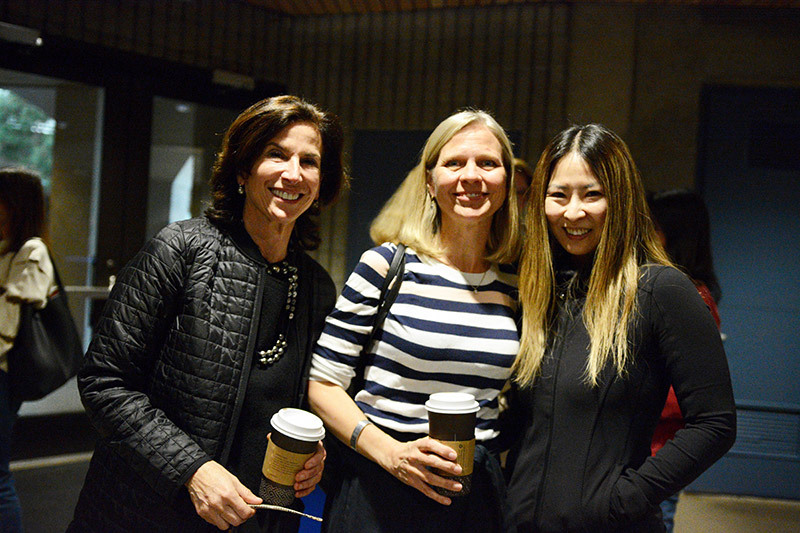 From teacher book groups to conversations in the faculty lounge, Prep faculty and administrators think all the time about how we support our students. In this space each month we’ll provide links, resources and inspiration about teaching at Prep and education in general. From teacher book groups to conversations in the faculty lounge, Prep faculty read and talk a lot about education. Each month we highlight a few memorable pieces or videos. Our goal is to make the process of parenting, learning and living a little saner, to put things a little more in perspective. These articles will be chosen by Prep teachers and administrators. If you want to share your ideas, feel free to comment on an individual post or contact Dean of Studies Sarah Cooper. 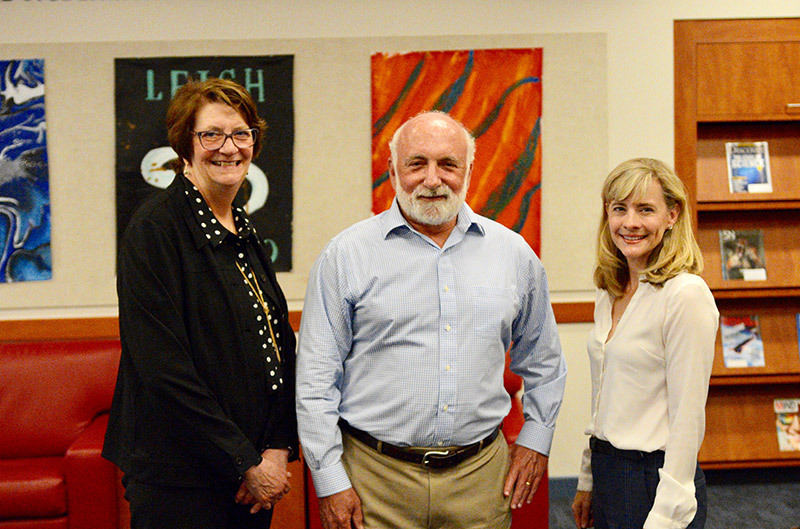 There is a disconnect between what science tells us and what the public believes about adolescence according to Dr. Laurence Steinberg at his Prep Community Speakers Series talk in April. 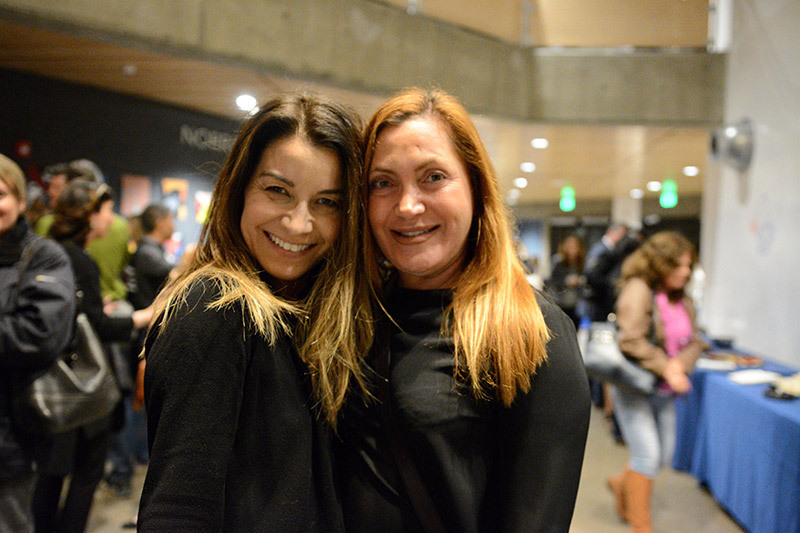 Some parents see the whole 15-year period between 10 and 25 as one that families must trudge through in order to ensure their children come out the other side as thriving adults. There’s even a cottage industry dedicated to helping parents survive their children’s teen years. 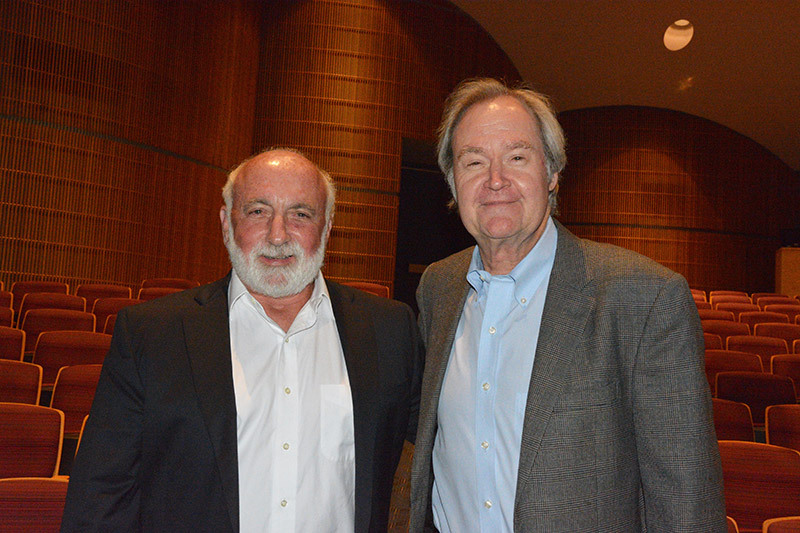 In his talk, Steinberg, a professor at Temple University who has spent 40 years studying the adolescent brain (since he was technically an adolescent himself), sought to dispel the stereotype. Fifteen years is too long to treat as “a necessary and unhappy passage,” he said. In the last two decades, our understanding of adolescent brain development has expanded tremendously, particularly on the topic of plasticity. In a nutshell, from the ages of 0 to 5, children experience significant brain development. In the adolescent period, hormones cause the prefrontal cortex, responsible for higher-order reasoning and self-regulation, to undergo significant changes. Experiences are remembered more vividly and emotional connections felt more deeply than at any other time in life. Because this “braking system” of the prefrontal cortex isn’t fully developed during the teen years, risky behaviors can have permanently detrimental results. Adolescents are three times more likely to die preventable deaths from risky driving, drowning and suicide. In Steinberg’s view, the true opportunity of adolescence is to help teens develop self-regulation to avoid unhealthy decisions now and to encourage happiness later. Those with strong self-regulation are likely to be more successful (Steinberg says self-regulation and grit are greater predictors of success than intelligence), while those with poor self-regulation are more likely to have tumultuous relationships, encounter mental health problems and suffer from obesity and addiction. Lest parents take away from his talk that parents should protect their teens from all risks, Steinberg urged healthy risks and independence. 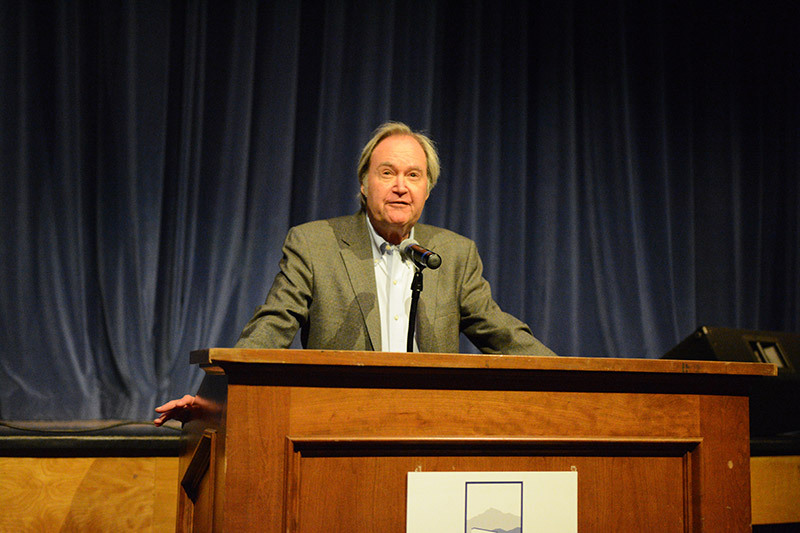 He referenced Prep’s culture of student autonomy as an example of healthy development. In addition, he recommended activities that can help teens develop the prefrontal cortex. Meditation: Meditation facilitates prefrontal cortex development and self-control and can take several forms, all of which are useful in reducing stress. Kids can walk, do yoga or participate in martial arts. Meditation is good for the heart and the immune system as well, and Dr. Steinberg referred parents to an article published this week about its use by the US military. Aerobic exercise: Studies increasingly show that physical activity is good for brain health and prefrontal cortex development. Steinberg recommends an hour of activity daily and suggests that, if it’s not happening at school, it should happen at home. Sleep: Sleep is absolutely necessary for the development of the prefrontal cortex, and he says teens should get 8-9 hours a night. Authoritative parenting: Warm but firm parenting provides necessary structure for children of all ages. To model self-regulation, parents should be loving and involved but also offer well-structured boundaries and rules with consequences. Challenge: Asking our kids to do something that they have never done before, particularly challenges that are within reach, is important to grow neural pathways. Steinberg differentiated between a challenging, but doable, assignment and the stress of an impossible task. Through challenges, and occasional failures, students’ self-management emerges. A graduate of Vassar and Cornell, Dr. Steinberg is the author of many books for parents of teenagers, including You and Your Adolescent, The 10 Basic Principles of Good Parenting, and Age of Opportunity: Lessons from the New Science of Adolescence, among several other publications. An article he wrote for the National Association of Independent Schools magazine was used as a handout for the Speaker Series discussion. 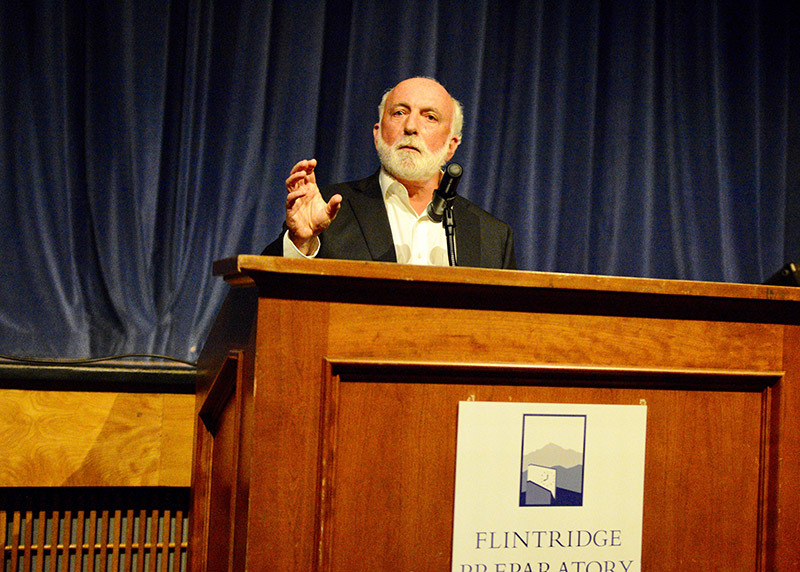 Dr. Steinberg was the final speaker for the 2018-2019 school year of the Flintridge Prep Community Speaker Series, founded in 2016. His talk reflected a through-line in these evening discussions, highlighting a commitment to the health and happiness of students. 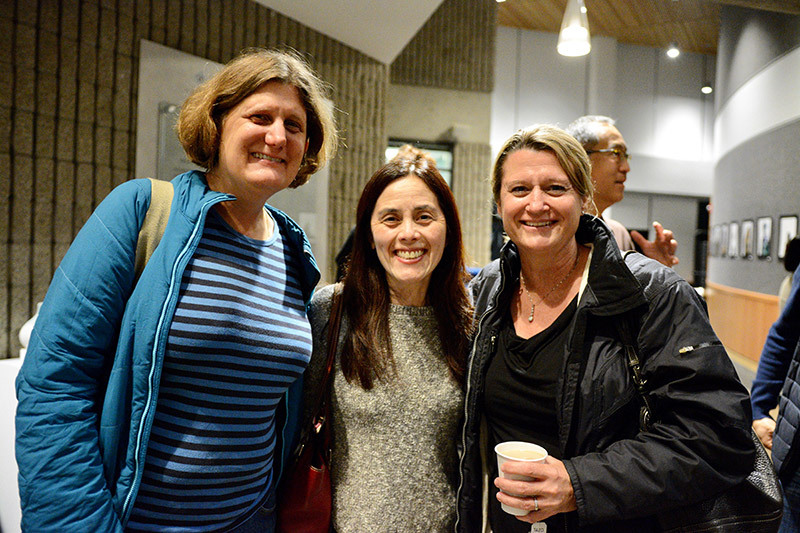 Attendees found themselves drawing connections between Steinberg’s discussion and other talks through the years. One of the most important aspects of doing art is working within a community. This means finding trust in other artists’ feedback as well as building individual aesthetics. Much of this trust is built through the critique process. 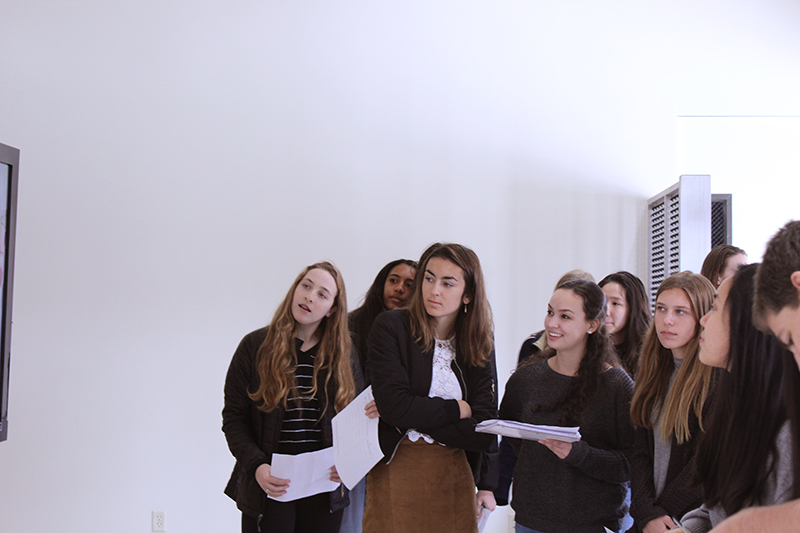 As Visual Arts Department Chair Tim Bradley reflects, when he started teaching at Prep about 12 years ago, he noticed that students could speak critically about poetry, literature and historical events but were less sure of themselves when discussing their peers’ art projects. Critiques happened when the work was done, drawing from individual likes and dislikes rather than addressing ideas, craft, aesthetics and cultural context. 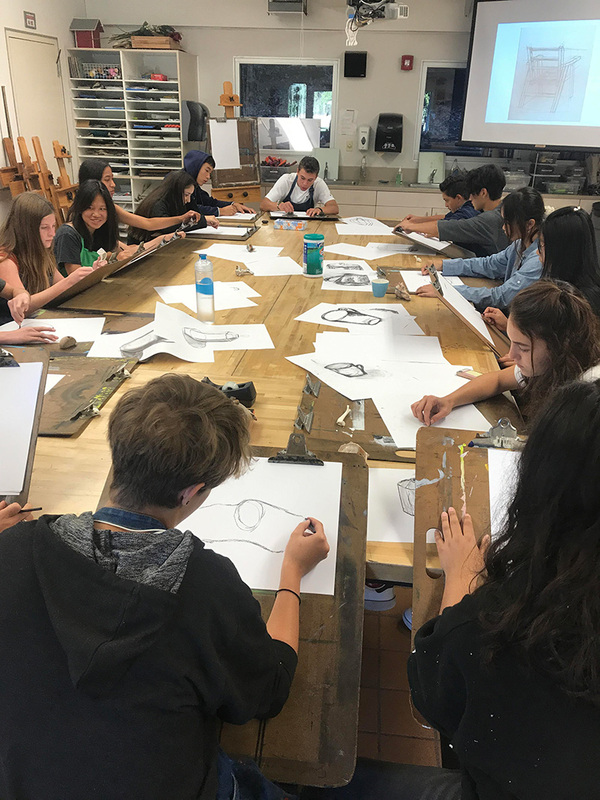 Our faculty are highly accomplished artists, which has opened a new phase of art instruction and art appreciation at Prep. Each of us draws from our own experience, perhaps creating the feedback process we would have wanted as art students. 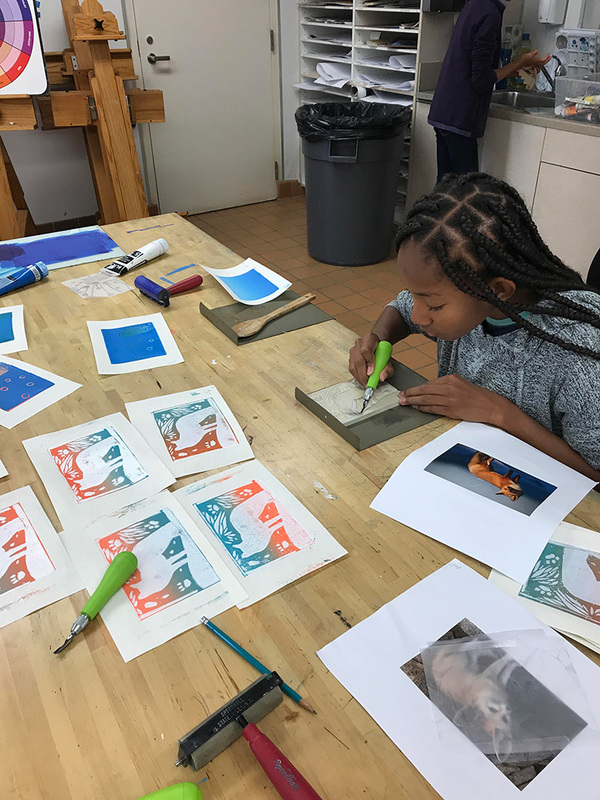 We share a goal of giving students better skills at peeling back the layers when looking at art, as well as more opportunities to create work of depth and beauty. Ultimately, these skills translate not just to other classes but in life outside Prep. Final critiques are not always the norm, sometimes giving way to conversations while students are in process. Teachers engage students where they are while helping them adopt new standards and expectations. It can start with giving students permission to tune out their inner critics, so that they are more willing to channel their feelings, take creative risks and embrace unexpected results. This produces a greater variety of work, which leads to even better discussions. 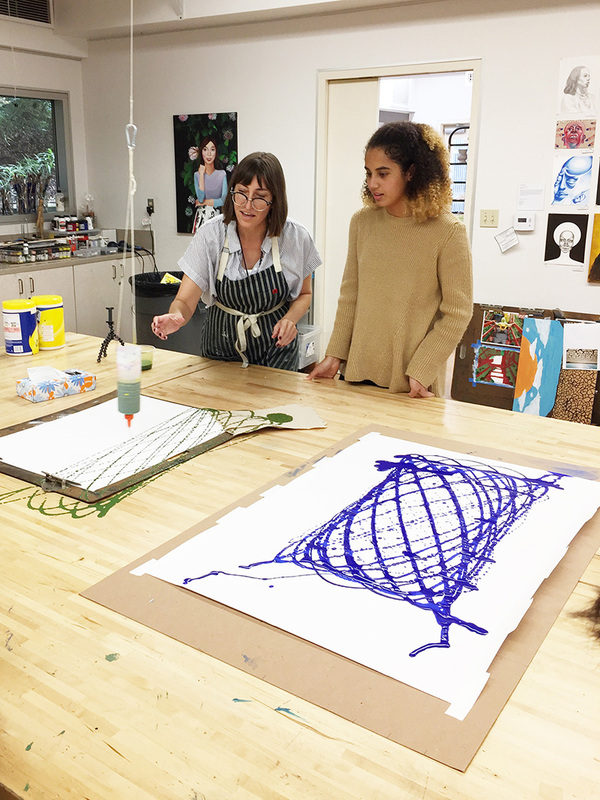 Bradley consulted with visual arts faculty and collected their thoughts on the critique process. These descriptions provide a lively look into the visual arts classroom and show how critique develops an artist’s perspective, among many other essential skills. I have found, over the years, that the traditional critique I saw in high school and college is often a tedious process for our students. When I first began teaching, I drew up guidelines and tried to encourage a discussion of each student’s work over the period of several days. Students had trouble engaging in the discussion, which tended to be stilted and uncomfortable. The purpose of a critique was to get feedback from an audience so that the artist (student) could see how others read their work. It also helped to point out formal problems. After the critique, students were supposed to edit their works based on their peers’ formal and conceptual feedback. 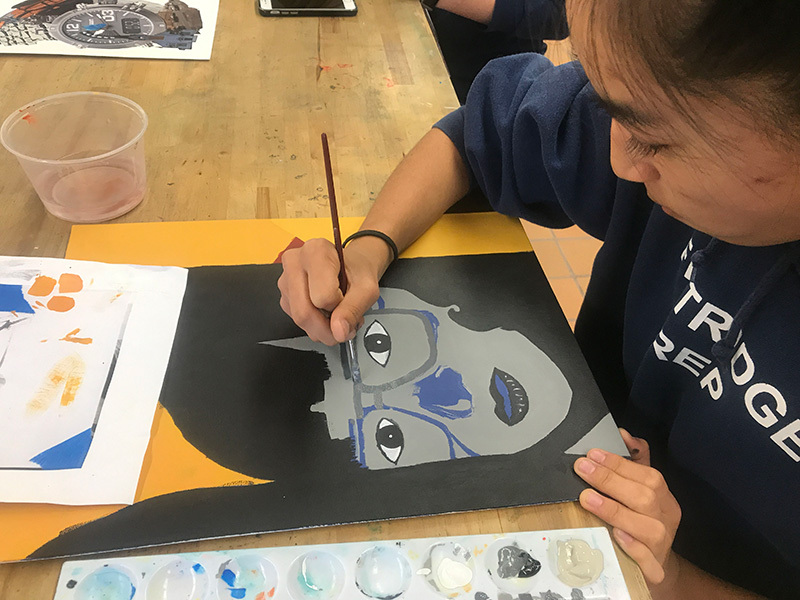 Since drawing and painting require a tremendous amount of time to complete, the students would have a hard time editing their already finished work. So, I had to come up with another strategy. Now we do weekly individual and peer presentations of the work and discuss edits while students are still working on their projects. Sometimes the feedback means they need to start over, and sometimes it asks for just a slight adjustment to the style or technique. The students don't even realize they are doing mini critiques, and questions happen continuously. This way, they think about the choices they are making throughout the whole process instead of at the end. 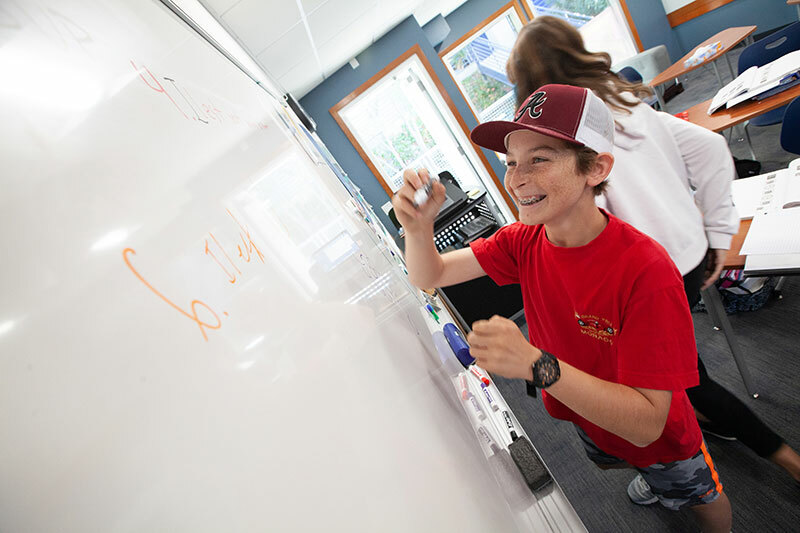 The students also have time once the work is up on the wall to discuss their process, outcome and intentions informally with their classmates, which makes for a more conversational feel. All of us received early guidance on how to speak, read and write–often before we could even walk. However, visual literacy is assumed to come naturally or as a gift. In my classroom, the critique is a fundamental learning method to learn how to create and deconstruct images, both visually and conceptually. The students learn how to describe, analyze, interpret, wonder and communicate about each other’s images and, as a result, grow as visual communicators. Critiques are an essential part of the creative process, where students learn how to listen, look and exchange ideas organically. This interplay helps students bond, since they are all exposing their creations and becoming vulnerable. It also helps them to see and find visual solutions by combining everyone's experiences and interpretation of what they are seeing. A compelling critique for me is one where we all leave looking at something in new and unexpected ways. We rarely do a formal critique. Instead, we have many in-process discussions and we generally talk about the project informally once finished. 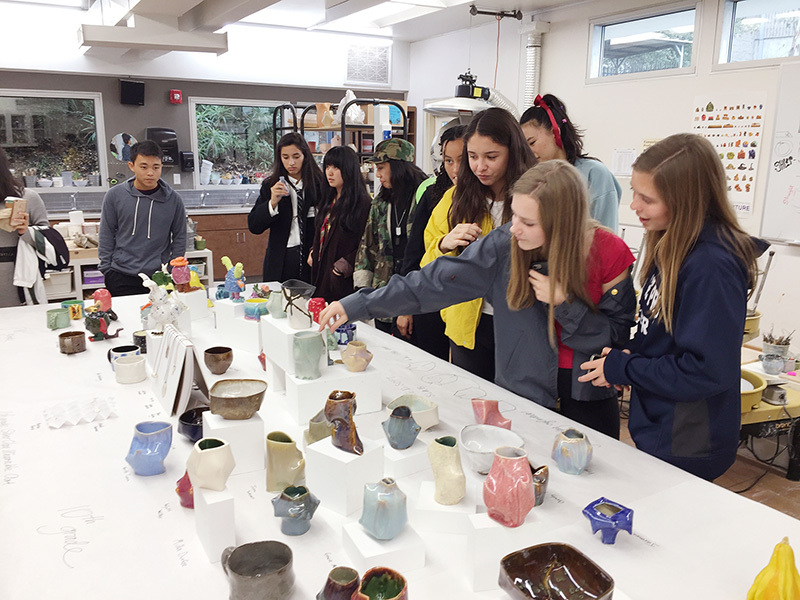 For example, when the 10th grade class made teapots, we spent half a class talking about the outcomes, the fit of the lids, the color of the glazes and the cleverness of the designs. We also did a pour test to see which one performed the best and why. Finally, we made tea and enjoyed that for the rest of the class period. I like that informality, which is more about sharing. Early on in each project, I ask my photography students to show me everything they’ve shot. Often, they are reluctant, but it’s necessary because I want them to reevaluate images that they think are mistakes. Those are often the best—they don’t conform to the easy likeability of an Instagram photo but can provoke thought or show us beauty in an entirely new way. Other than presenting the assignment parameters, this is the point at which I give them the most input, encouraging them to follow through with unpredicted beginnings. 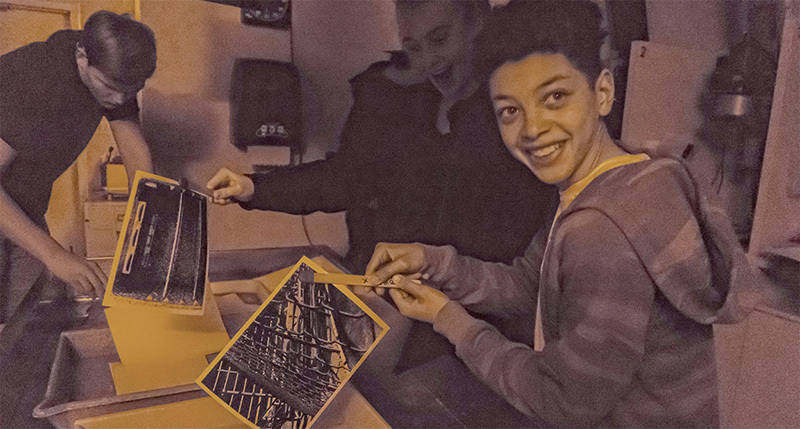 When projects are complete, a student-led critique can be rewarding because, as one of my 9th graders explained, “it’s good to get a set of fresh eyes—people notice things that you didn’t.” Students are remarkably insightful during critiques and can manage much of the conversation on their own. I often pause the discussion to go online and show them the work of artists addressing a concept or design strategy that a student has taken a risk with. It’s a powerful reminder that art connects us all, regardless of time and place. Students go through a great deal of change in the 9th grade. Their class size doubles. Peer pressure is a very real and powerful force in their lives. Developmentally, they are just starting to understand boundaries and test their identities. Intellectually, they are acquiring knowledge and analyzing ideas, with more sophisticated synthesis of complex concepts to come in their 10th grade year. It’s with all these challenges in mind that Prep hosted an annual event on February 12, “Crafting a Balanced Adolescence to Help Your Child Thrive.” The evening provides an opportunity for parents to take stock and to look ahead, imagining how they can help their children have fulfilling high school experiences. In advance of the evening, a survey was sent to parents asking them how they define success, balance, goal setting and challenges for their 9th grader. The survey asked parents to reflect on 9th graders’ emotional and social abilities, as well as how they handle stress and failure. Not surprisingly, the vast majority of parents identified “happiness” as a defining factor of student success. These takeaways from the talk may be useful to parents of students of any age. Ninth grade is a time for students to explore passions, not to build resumes. 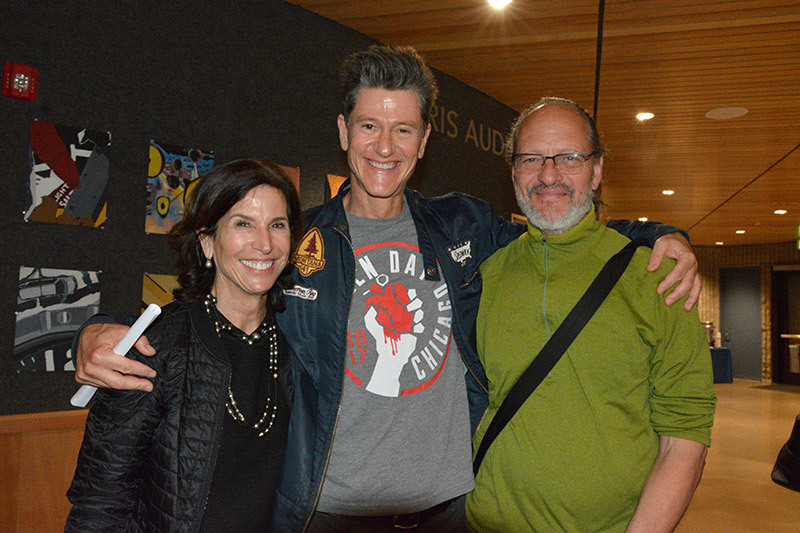 Dean of Faculty Vanessa Walker-Oakes remarked that her own college freshman son recently expressed gratitude that he had a childhood, unlike some of his college peers. She entreated families to remember that students have 65 years to build a resume, but they will never have another chance to enjoy their childhoods. It is common for parents to feel that they should begin “packaging” their kids for college, but we should fight the urge, remembering the school’s mandate to help students develop authentic intellectual and extracurricular passions and pursuits, including community impact work. This is a time to pursue genuine connections that spark joy. 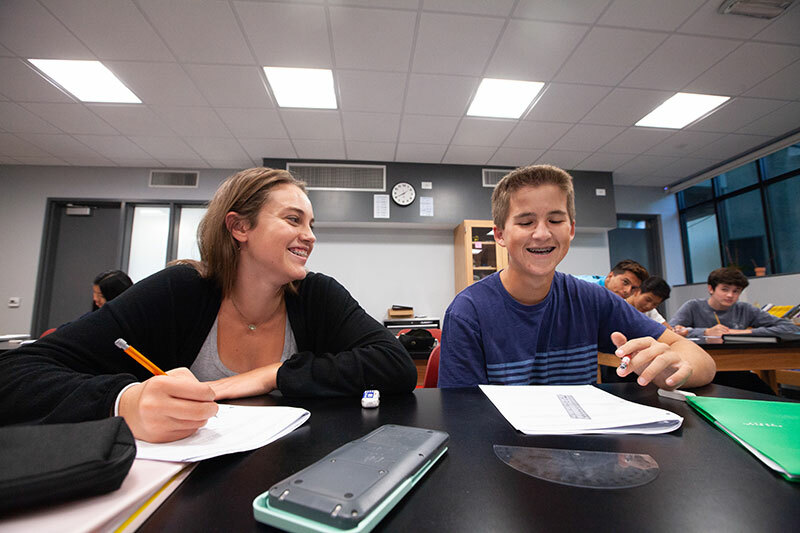 Headmaster Peter Bachmann pointed out that the 9th grade year is a really important time for students to test their independence, to learn how to bounce back from failures and to solve their own problems. Ninth grade faculty and administration are intentionally modeling self-sufficiency, and he encouraged parents to let their children fall down and get back up on their own. Bachmann and Walker-Oakes made clear that these life skills are far more essential in the long run (including during the college application process) than is developing a list of accomplishments divorced from students’ actual interests. 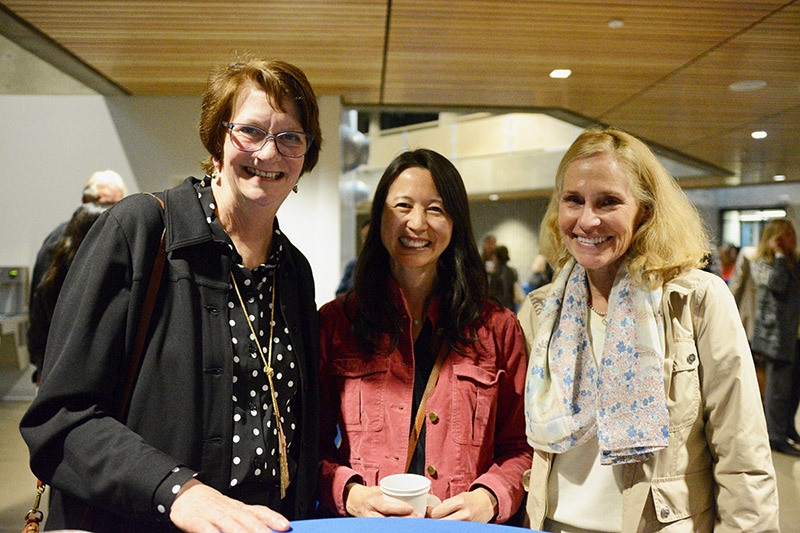 Our faculty and administration are working in developmentally appropriate ways to help prepare your student for an amazing college experience. 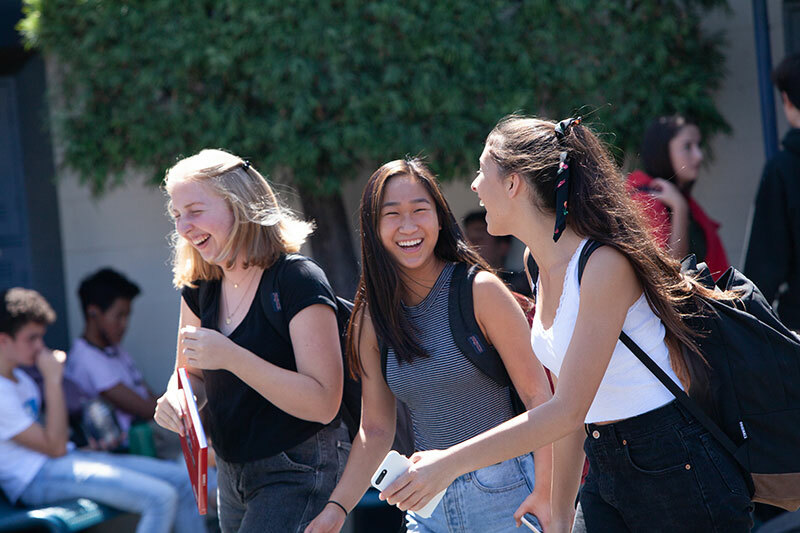 At several points in the 9th grade year, advisors, faculty, grade level deans and members of the administration work directly with students and talk with each other about students’ preparation and course selection for the next academic year. They consider a number of factors, including the students’ interests and other activities. This process continues in 10th and 11th grade, with the addition of retreats to help students set goals and prepare them for the more intense self-reflection that occurs in college counseling. It’s important to know that students at Prep aren’t put on academic tracks. A choice to forego an AP course in 10th grade does not prevent students from taking an honors or AP course later. As students progress through high school, the human development program and students’ own natural maturation prepare them for the self-assessment that occurs in the college counseling process. Just as students move from analysis to synthesis and higher-level reasoning through high school, they also mature emotionally. 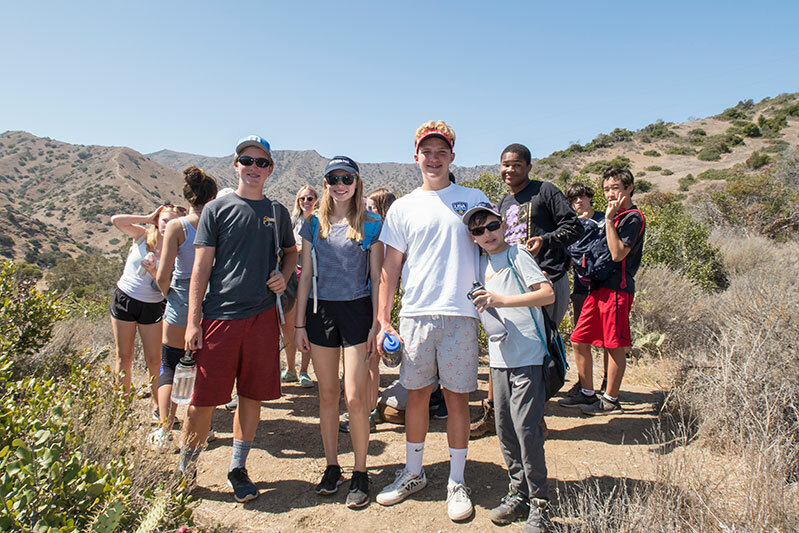 The Sophomore and Junior Retreats, Prep’s leadership curriculum and other human development opportunities coincide with students’ natural development. By the time they reach the middle of junior year, students should be prepared for the thorough self-assessment that is part of the college counseling process. 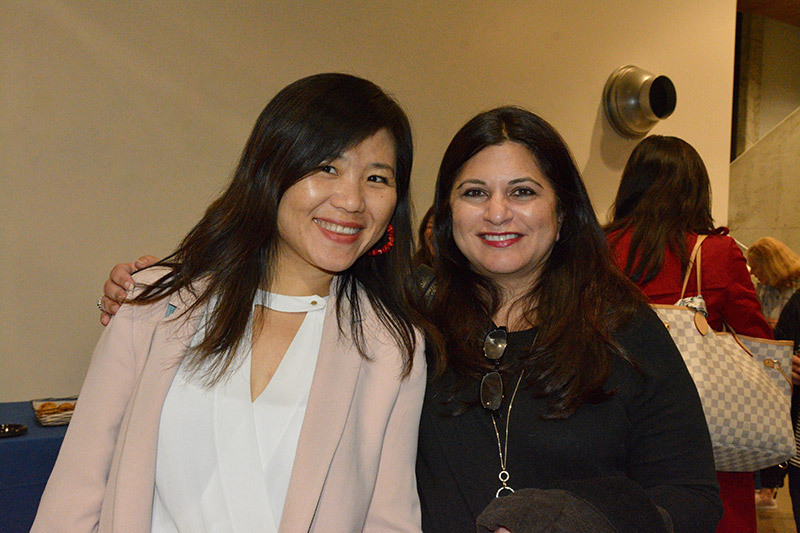 At the event, parents were encouraged not to push students to think about college in more than a general sense before 11th grade. Doing so challenges the Prep community’s agreed-upon commitment to balance, growth and self-discovery. Our students graduate happy, fulfilled and attending great colleges. 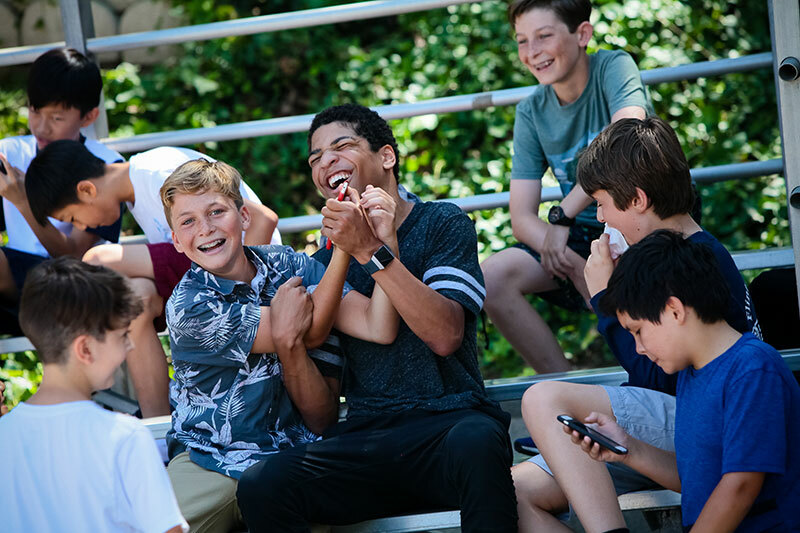 Seventy-one percent of young Prep alumni in a recent survey identified community, faculty or relationships as the most valuable aspect of their experience at Prep. The college counseling process is a culmination of the human development and intellectual work that students begin in 9th grade. With an emphasis on “strategy with heart,” counselors are thoughtfully matched with students to create trusting relationships. They use their own expertise, supported by data from College Kickstart, to deepen students’ perspectives on colleges to which they might apply.